The production costs of creating engaging interactive content never got as low as the costs of creating television advertising.The people making interactive content realized it was more lucrative to make video games. (And) we’re finding that people don’t want to be responsible for causing an ad to be seen. We never made a better ad unit than the 30-second ad. Psychologists and behavioral economists have stated there is something unique about the combination of audio and video in a series of sequential images. The internet thought interactivity would make people more amenable to persuasion: not true.The war isn’t over, but the internet is losing. An intelligent reader might well wonder how a very smart industry missed the boat on a $70 billion portion of a market, while claiming to be reinventing that same market. And you would be right to ask. To be fair, the internet giants have not been ignoring this gigantic market — they’ve been trying to capture it for nearly a decade. The problem is, they haven’t had any success. After a decade of not winning a war, it would not be unreasonable to re-evaluate the tactics being used. Indeed, for the last few years this is exactly what the internet industry has been doing. If we’re assuming these internet guys were smart and knew the rewards for taking on TV, it’s reasonable to assume the YouTube acquisition was a major move in the battle. It wasn’t an unreasonable assumption to think that as eyeballs came to the web, if the web provided content competitive with television, they could capture those ad dollars. Round two in the battle began even before round one was over. In 2008, Google extended its assault on assault on television advertising money with Google TV Ads. 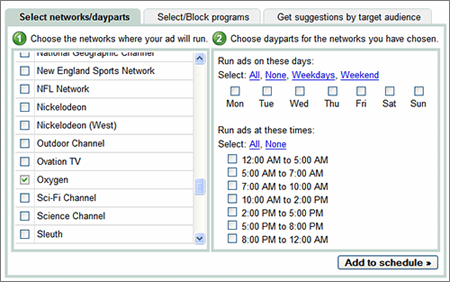 Google believed that the problem with television advertising was efficiency and transparency in the buying process: they offered the means of “easily and efficiently buying more accountable and measurable TV advertising.” They would apply the efficiency of their direct advertising-based web auctions to the television market. Google wasn’t the only company with the idea, it had competition. Startups formed (Spot Runner, Navic), and Microsoft got into the act by buying Navic. Even WalMart gave it a go. In the minds of Silicon Valley, the war was won before it even started. The only question was which Valley company would win. This did not come to pass. By 2012, Google had given up, so had Microsoft. Spot Runner was sold off, and TV was still standing, undamaged. They lost for a few reasons. First, economies of scale: the big media companies buy more media, so they got better pricing. There are some regulations in this area, but this is generally true. Second, they could never crack the mainstream media oligopoly: the largest networks never gave the tech newcomers their best inventory. Finally, the economics of large brands ruled the ecosystem. Google TV ads were great if you wanted to buy one or two ads as a small business, but the real money is in the big brands, and they don’t need or want a self-serve product. By 2011 the lawsuits were clearing (though some would linger), and Google realized that monetizing cat videos and music videos— the core “user generation content” of YouTube — was a difficult proposition. They started to wonder if the reason TV wasn’t still winning was because – gasp – they had good content. So it announced a $100-million war chest to fund 20 or so new channels on YouTube that offered quality content. One day an entire book will be written about this period, I hope. If no one else does it, I’ll get to it in a decade or so, but please, someone do it before then. So many of my friends lived off this fund for years. It was awesome. But it did not do the trick. If you look at the costs of television production, this is probably not surprising. In 1988, an episode of Star Trek: The Next Generation cost $1.3 million. Today a Game of Thrones episode costs somewhere around $4–10 million. For their $100 million, they could have gotten half of the series run of Star Trek TNG, and that’s in 1988 dollars. It should not be surprising that $100 million wasn’t enough to put a dent in TV. Along the way, Google experimented with ad formats. Would pre-roll work? Post roll? Mid roll? These skirmishes still linger today, without much resolution. The internet has not, in a decade of experimenting, found anything that works any better than the good old 30-second television spot. Television wins again. One win for Google was the TrueView format: you only pay for a video when someone watches it. In theory, this is a great solution to Wanamaker’s dilemma. At scale, however, if it were to succeed, the cost of a true view ad would presumably rise to the point where Google, and not the advertiser, captured most of the savings. Advertisers love the format though: it helps minimize waste regarding advertising on the internet. Most of Zuck’s public speaking on this topic is around the users, and how they love video. Whether this is news — television and film have dominated our cultural landscape for seventy years — is debatable. Sheryl Sandberg speaks to their motivations more directly: video “really creates ad opportunities.” And these are ad opportunities that Facebook did not have previously: brand ad opportunities. Big brand advertisers, happy that Silicon Valley is finally trying to make products for their needs, are starting to experiment. 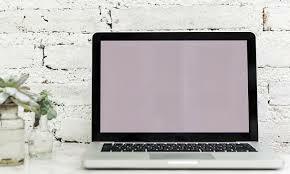 The CPMs on internet video ads are much, much higher than on internet banner, text and search ads. Every media company on the web is trying to get that sweet video money now. This is why you see videos at the top of news articles now that basically just say exactly what the article says: because they can make more money for the video ad. The lessons from the first content battle, too, have been learned. Google watched Netflix put an actual dent in Television’s audience, and got a more accurate market for how much money they would need to spend on content. And it was a lot more than a hundred million. Netflix is spending $6 billion on content this year. Amazon is spending $4.5 billion. Google is getting into the hundreds of millions — still not enough. Apple is getting in on the game. Yet, at Michael Wolff pointed out, all of this is evidence that TV, not the Internet, is actually winning. The internet is starting to look far, far more like television than television is starting to look like the internet. We are seeing new initiatives now. Recently Facebook launched “Watch” — it’s new dedicated viewing section of Facebook. As Recode points out, questions remain. Will anyone want to watch TV on Facebook? Will Facebook pay creators enough to make it worth their while? Trade Desk founder Jeff Green paints a picture where TV’s migration to the web means that “there will be far fewer ads than there are today. The ads will be tailored to you.” It is unclear to me why this may be the case: the largest advertisers will still buy the most ads, and they will still be for products where the entire adult population is their market. And the ad load will be dictated by what the audience will bear: if we accept 15 minutes of commercials per hour on television, why would anyone give us less on the web? It would be economic folly. And the internet’s history on this front has not been trending toward fewer ads. In the end, if Facebook succeeds, it will likely look a lot like television. There may be better technology behind the ad delivery system — ads may be delivered programmatically. Some ads might be personalized — especially if you are a procurement officer for a large corporation. But for the average citizen, things will look pretty much the same. Is television the tech industry as we know it? For Google — and the ad industry — this has several ramifications: First, bringing Netflix into the equation brings up another topic. Netflix and HBO are showing that television may not need advertising at all. There is a small, but real chance that, over time, the greatest ad medium we’ve ever invented may not exist in 20 years. This is probably hyperbole — Americans have shown, time and time again, they are willing to endure ads to consume content for free. And some popular content is cheap to produce, thus being easy to support with advertising: talk shows, reality shows, etc. In the end, both on Television and the Internet (an increasingly irrelevant distinction), content will be a mix of free and paid. Netflix has shown Google that it’s not impossible to beat the television industry. But to do so, Google has to throw out every competitive advantage its got. It needs to do what television has always done: throw billions of dollars at creating awesome content that people want to watch. The dream that users would create quality content for free is dead (it was always a naive dream: anyone making good content would jump over to television, which paid better. And that is exactly what happens). The dream that Silicon Valley’s vastly superior technology would provide an advantage is dead. Remember for the biggest brands, who spend the most money, targeting is not all that important: everyone is their target. They don’t need the bells and whistles Google has to offer. And for the people that do need Google’s targeting – direct advertising, local advertising, B2B – Google already has their money, and to get it using video will just increase their cost basis. Perhaps most existentially, the reality that spending billion is the only way to beat television calls into question Google and Facebook’s very existence in the form of their insane P/E ratios. Google operates at a P/E ratio of 26. Facebook: 75. Comcast: 19. CBS: 18. Viacom: 8. It’s not inconceivable that Google could still win this battle, but it’d cost them serious market cap. Wolff points out one other point: Netflix, HBO, and even the traditional networks all have secondary revenue streams in addition to advertising. We pay for Netflix. The cable companies pay the rest out of our bills. Google and Facebook have no such ancillary revenue on their content. It is going to cost them doubly. So. Where did the internet go wrong? First, the internet took way too long to realize that brand dollars were a fundamentally different source of revenue, and that they were not going to come over to the internet magically. Secondly, the internet failed because it didn’t realize that the tools it had built – primary ad tech and social media – were irrelevant to brand dollars. Personally, I think there’s a third failure, less discussed: we never made a better ad unit than the 30-second ad. Psychologists and behavioral economists have stated time and time again that there is something special and unique about the combination of audio and video in a series of sequential images. The internet not unreasonably thought that throwing interactivity into the mix would make people more amenable to persuasion: it’s one thing to watch a video, it’s another to engage with it. This turned out to not be true. That was a bummer: I dedicated much of my life to that proposition, and it turned out to be false. On top of that, the production costs of creating engaging interactive content never got anywhere near as low as the costs of creating television advertising. There are whole, giant industries committed to creating both forms of content. The people making awesome interactive content, however, realized it was more lucrative to make video games. Finally, we never nailed the balance of content to ads, and we discounted the resentment users feel when they themselves are responsible for making an ad play. The science on this stuff is still early, but what we’re finding is that people don’t want to be responsible for causing an ad to be seen. If I turn on the TV, it might be an ad, it might not. If I click on a YouTube link, I’m gonna see an ad — no matter what. I hate this. I personally have a whole theory that stream-based content might solve this — and indeed, we’re seeing that ads are working somewhat better on Instagram, Snapchat, etc. But I suspect it won’t be enough. Nor will mobile save the day, despite it being the internet’s current great white hope. There is much to be said for the the intimacy of mobile. And there remains a slim chance that the location-based component of mobile, tied with some sort of round-trip inspiration-to-purchase metrics will finally, fundamentally solve Wanamaker’s dilemma. And indeed, there is some hope here. But it is a ways off, and most of the current initiatives from Google and Facebook, privacy complaints notwithstanding, aren’t gonna cut it. But we’ll get to that in another column. So here we are. The war isn’t over, but at this point it’s a war of attrition. Any victory will be pyrrhic at best: the internet is losing.